The Concord Education Fund (CEF) extends its thanks to everyone who contributed to this year’s Fundraiser: The Concord Ed Fund Hoedown! Held annually, the event supports the Ed Fund and its commitment to invest in innovative educational programs at Concord Public Schools (CPS) and Concord-Carlisle High School (CCHS). 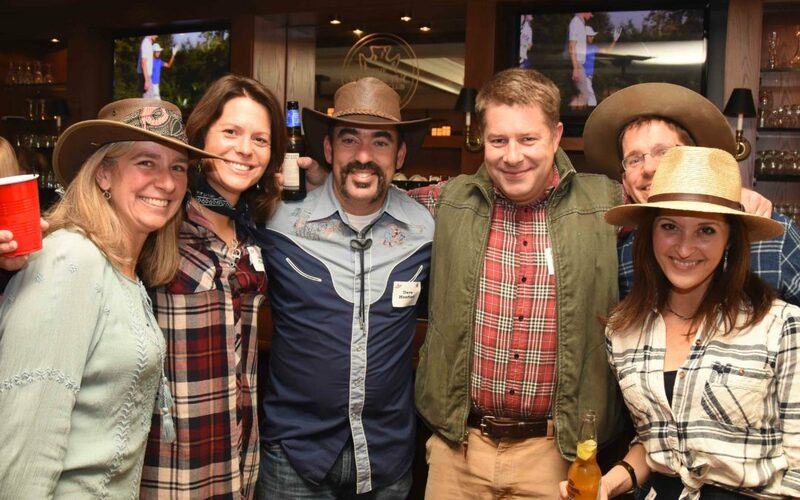 Held at Nashawtuc Country Club on November 18, nearly 250 partygoers were treated to a saloon-style celebration in support of public school education. Emmy-award winning journalist, WBZ-TV news anchor, and CCHS alumnus Kate Merrill was the night’s master of ceremonies, speaking candidly of how important it is to support educators who are willing to go out of their way to inspire students. And new CCHS principal Michael Mastrullo took a few moments to thank the Ed Fund and all who support it. In addition to being CEF’s title sponsor for the seventh consecutive year, the Cambridge Savings Bank team worked the registration table and helped process the auction proceeds at the event. The Ed Fund would also like to thank the rest of our community sponsors whose generosity will make possible a variety of new teaching initiatives, programs, and curricula that fall beyond the scope of the public school budget. The Concord Ed Fund Hoedown demonstrated community at its best: coming together to have a great time while supporting CPS/CCHS teachers and staff members who are eager to offer students an extraordinary educational experience.